Is a Nobel Prize on its way to Stephen Hawking? Hawking is world renowned for his work on gravity and black holes, including his 1974 postulation of the eponymous Hawking radiation, a theory that says a black hole should give off a stream of particles from its outer boundary. Hawking predicted that black holes emit thermal radiation due to quantum effects, which causes the black holes to lose mass and vanish. Despite numerous attempts, the faint emission has never been detected from a real black hole, so researchers have sought a number of laboratory proxies to demonstrate the general principles of the phenomenon. 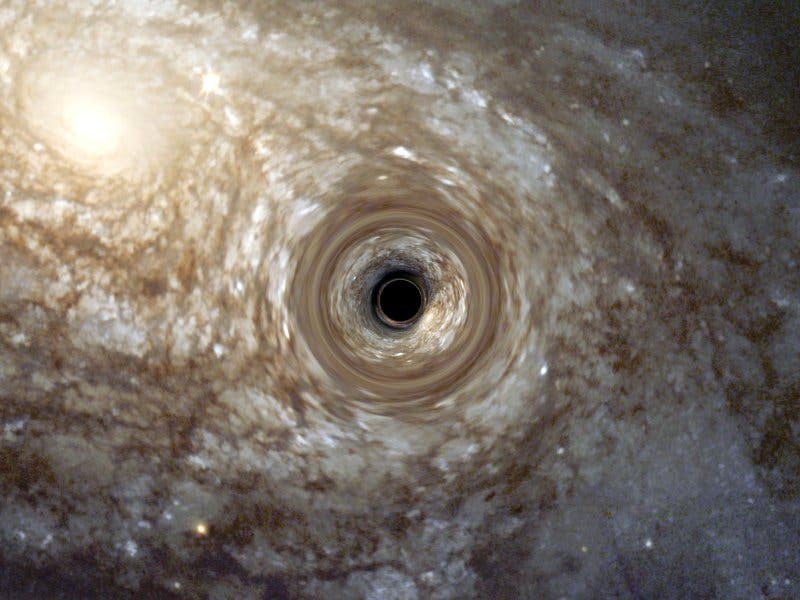 Now, Franco Belgiorno at the University of Milan and his colleagues claim to have observed something that looks very much like Hawking radiation from an event hole horizon they created in the lab. The essential feature of Hawking radiation is not the black hole itself but the space-time curvature associated with the black hole's event horizon that acts as a boundary beyond which light cannot escape. So particle pairs excited from the vacuum that form close to the black hole horizon are split so that inner photon falls in and the outer photon escapes, gaining energy at the ultimate expense of the black hole. Event horizons are not unique to black holes. Belgiorno used a moving “refractive index perturbation” (RIP) in a dielectric medium (in which light can change the medium's refractive index) to mirror a black hole event horizon by firing ultrashort (1-picosecond) laser pulses at transparent glass, which excited an RIP that exhibited an event horizon. According to New Scientist, the researchers using a CCD camera detected a peculiar kind of photon emission at a 90-degree angle to the glass. As the researchers arranged the experiment in a way to strongly suppress or eliminate other types of radiation. The team noted that there are actually two event horizons associated with the RIP. Besides the black hole horizon, there is also the black hole horizon's inverse called a white hole horizon. In the case of the RIP, the leading edge is the analogue of the black hole horizon and the trailing edge is the analogue of the white hole horizon. With these observations, the physicists have shown that it's possible to investigate the physics of black hole evaporation in other, more accessible systems. If future experiments confirm that this is Hawking radiation, the results could have implications on everything from the fate of black holes to how the universe may end.